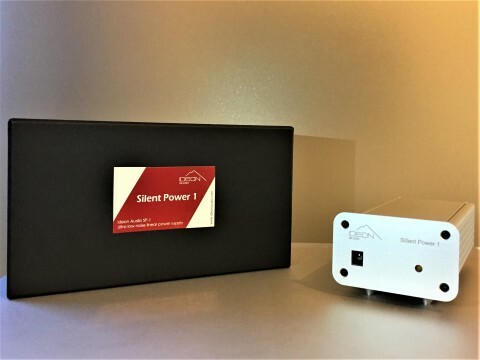 IDEON AUDIO, a little Greek company co-founded by three friends, including one engineer to develop the technical side of the project, might be a young one but straight from the beginning they did prove to the world that they are not just New Kids on the Block, but a well-suited team for the job. The Ayazi project, as they called it is all about creating an immersing listening experience with music during playback, and all focus is here on the Digital domain, which with today’s Vinyl revival seems to be left a bit behind. But this is just an illusion when in fact there is a lot going on in the Zero/One world for those who are watching carefully. No one knows it better than us who keep penetrating the market in the mission to find the best, and here we got it again, now it is your move to try. Ideon’s portfolio contains just a few products and matching software. Two DACs, two Re-clockers, and the matching High Purity linear PS for the basic model. Simple. Introductory model: AyaZI D.A.C is an entry level to the Ayazi Experience, but it is well worth trying as we are pretty sure that for many it is going to be a big shock. Especially when matched with a dedicated re-clocker revealing its capabilities to the end. Long story short. This is an unbeatable combo for the money and a pretty serious digital set up for on a budget customers. The Ayazi was conceived, designed, and sonically fine-tuned by a team of audiophiles and music lovers with professional, engineering knowhow. The aim: bring out the musical magic encoded in the numbers stored within the digital medium, and make it user-friendly and affordable. In other words,to create a device that we,music and audiophiles alike, would wish for. The Ayazi offers support for up to24-bit/384kHz audio via USB and 24-bit/192kHz over S/PDIF. DSD64 and DSD128 playback capability is supported via USB (all via on-the-fly software conversion 352.8/24)…. Re Drive – Re Clock – Re Generate the USB signal. This device is company’s highest performing precision USB Re-Clocking platforms available today. Not only the Master Class, but the class for itself. We haven’t found anything better yet, regardless the price what makes it a biggest bargain on the world to make long story short. But drop the story and just listen to it, no further explanations will be needed. 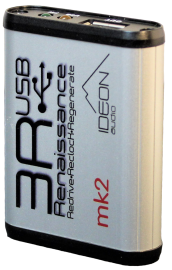 Ideon Audio 3R USB Renaissance USB Hub – The Absolute Sound!